In a never-ending effort to get myself to commit to and complete a blogging challenge, I joined Mom on Duty and Lollies and Lipsticks‘ 48 Photos Photo A Week Challenge. Every Friday for the next 48 weeks, participants will have to post one photo based on the week’s theme. Sounds easy enough, yes, but remember that I have a bad track record with photo-a-day challenges and weekly themed blog post challenges. I really do want to complete this one, though, and of course it makes it a million times more exciting that I’m doing it with some of my favorite bloggy mom friends. For the past few days I have been trying in vain to take a nice photo of myself. I once said that I am probably the worst model you can even have, and I meant it. I smile awkwardly, and I would rather make faces at the camera. I feel conscious when asked to pose for a long time. And it’s not because I’m concerned about the way I look. It’s more because I don’t like being in front of the camera. I really am a behind-the-scenes kind of girl. Today, as I was enjoying a cold shower after a very hot afternoon, it dawned on my why I didn’t like any of the photos I took of myself. It’s because none of them showed ‘me’. They looked fake and forced, and a bit unnatural. And then I realized that I already have the perfect photo, and that I took it just last weekend, at the start of the month. I think that counts as within the week, right? This is me, folks, in all my wrinkled, blotchy-skin glory. This is me with my giant eye bags, my eyebrows that are in desperate need of grooming, and with my unmanageable hair pulled back. 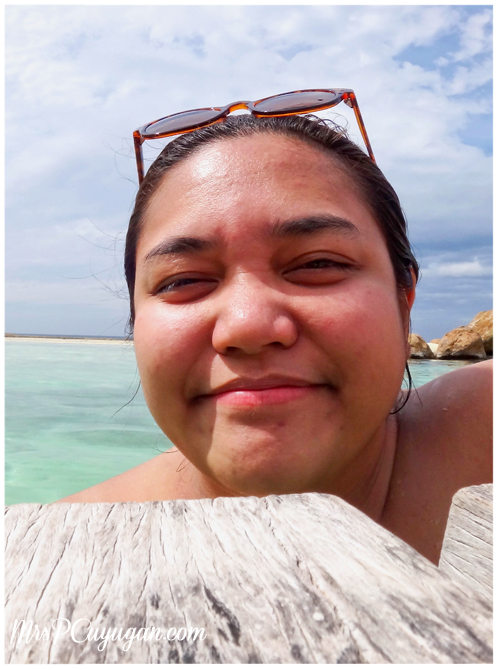 This is me with my double chin and chubby cheeks. This is me with no make up, bare-faced but happy. This is me enjoying my weekend with family, basking in the sun, delighting in a perfectly peaceful day. This is me. I am definitely far from perfect, but I am totally okay with that. I love when women like us are comfortable of who we are and we should always celebrate it! I like it! I love this photo Pat! It made me miss the beach! Thanks! I love the beach. I need to go at least once a year or else I get ghostly pale haha! Wow. I love how you showed who you are. Yes. We should be comfortable with the body we are in. 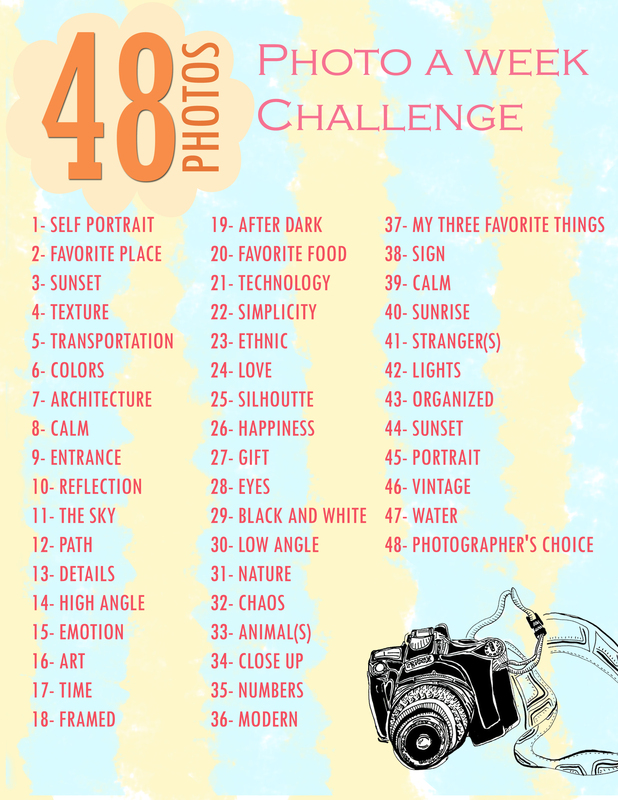 Im loving this photo challenge already. We get to see who and how we live plus we get to challenge ourselves to be better photographers too !! I am loving it too, and I’m also really challenged. Hehe! I think I have enough self love for me to be able to really show who I am without worrying about being judged. I myself can’t find my right angle and also these days, I lose confidence posing infront of the camera. Hehe, thank you! 🙂 Hirap talaga ako mag pa-picture! Beautiful! 🙂 Maybe that’s why I’ve been struggling to take a photo of myself. I keep trying to look for the perfect angle, one that wouldn’t show my flaws. Thing is, if I do find that perfect angle, it’s not my “natural” self. I love your self-portrait post! I think you did an amazing job with it!